Program-wide, most property owners elect to maintain their own properties. 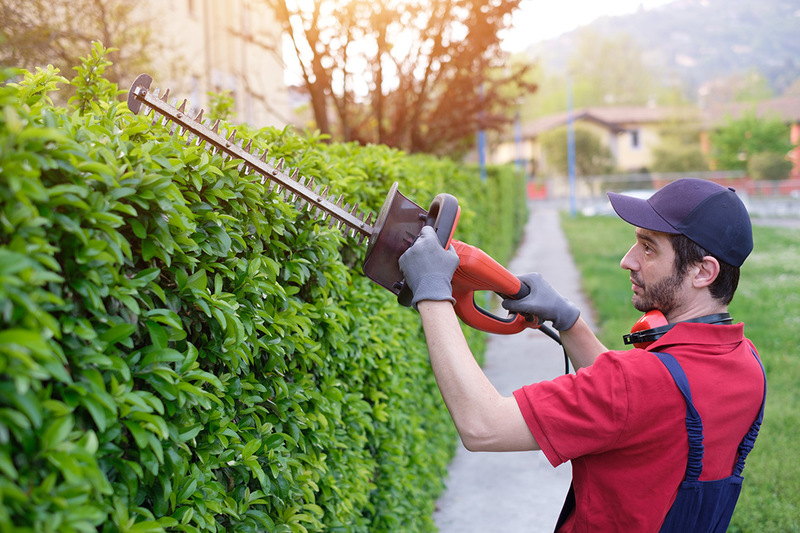 Doing the work yourself, or hiring a local company, gardener or landscaper is almost certainly less expensive than allowing ACWM to perform the work. An exception to this might be ACWM tractor discing which can be fairly cost effective, click on the button below to learn more. To help property owners decide, upon request ACWM will provide an estimate of the cost for ACWM to do the work. Most property owners receive the Annual Notice in early February. This may be way too early to begin clearance of annual weeds and grasses which will almost certainly still be small and green. Refer to the schedule below for more details on when to clear the property. Green Annual Weeds or Grass When the annual weeds and grass begin to dry, usually beginning about April 1 to May 15. Native Brush As soon as possible. Best if done in the fall to early spring to avoid nesting birds. ACWM begins inspecting and clearing properties as early as April 1. This process takes time to complete so ACWM will be in many areas much later than this date. Upon request, ACWM will send a more area-specific deadline which could be later than April 1, but still consistent with the overall mission of hazard prevention. Requests for clearance deadlines can be made using the Response Card which is included in the Annual Notice or online at the ACWM website. Click the button below to visit our website. Make sure the property is cleared by April 1 or by the clearance deadline if one was requested. The extent to which vegetation needs to be completely removed or only trimmed, thinned or cut back. Yes! Upon request, ACWM will come out before the deadline and inspect the progress of owner self compliance. For properties which are in the program because of tumbleweeds and which are not near a home or other structure, ACWM is inspecting to see if tumbleweeds are present in large amounts which have the potential to blow off the property and cause the nuisance conditions previously described. A few tumbleweeds scattered across the property may not need to be removed. For a much more detailed explanation of the tumbleweed program, click the button below.